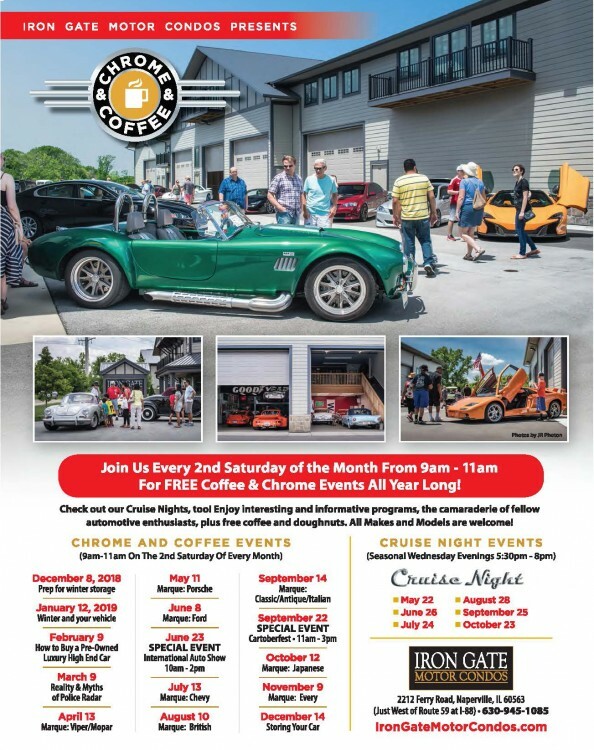 Chrome and Coffee is an informal open house with car talk, donuts and coffee. There is no charge to attend, although donations are encouraged and go to Cal’s Angels to support their efforts to help local kids battling cancer. Iron Gate Plaza businesses and sponsors donate the coffee and donuts so that any money raised goes directly to Cal’s Angels. Email Becky@IronGateMotorCondos.com for more information. Event is held rain or shine.